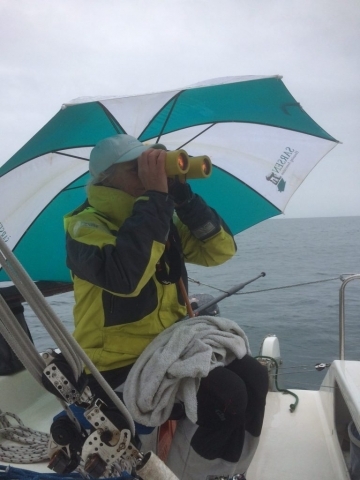 MS Amlin wraps up PYRA in the rain. Poole Yacht Racing Associations final outing of the year was due to be a race to the Folly at Cowes and return over the last weekend. 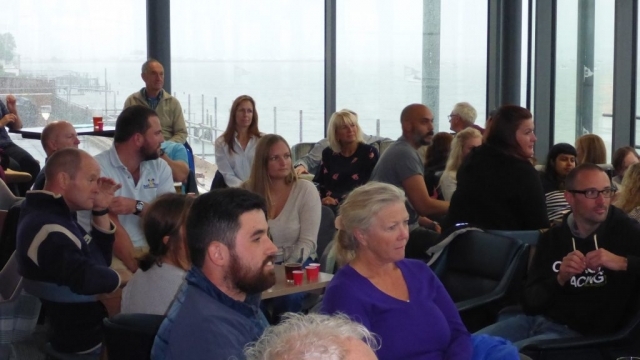 With 50 plus knots predicted the decision was made to limit to two back to back races in Poole Bay on Saturday, still attracting 20 boats out of the harbour on a less than tempting morning with an even less than appealing forecast. 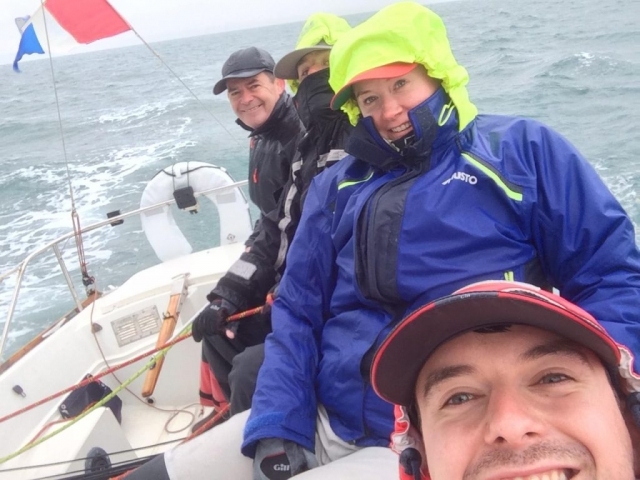 Race Officer, Dave Broadbent using his trimaran ‘Smithy’ as committee boat set the fleet of three classes onto a beat into the famous Sandbanks peninsular. With the smaller boats away first it was PYRA Captain; Roger Bond racing his Beneteau 285 ‘Fraid S’eau’ that was to lead the way. Heading back out to sea it wasn’t long before the two leading Class One boats, the JPK 1010 ‘Joy’ and Elan 333 ‘Elevation’ overhauled the smaller boats. With the wind rapidly dropping the 1972 Ecume de Mer ‘MS Amlin QT’ crawled past ‘Fraid S’eau’ and went on to successfully hold off larger boats behind. 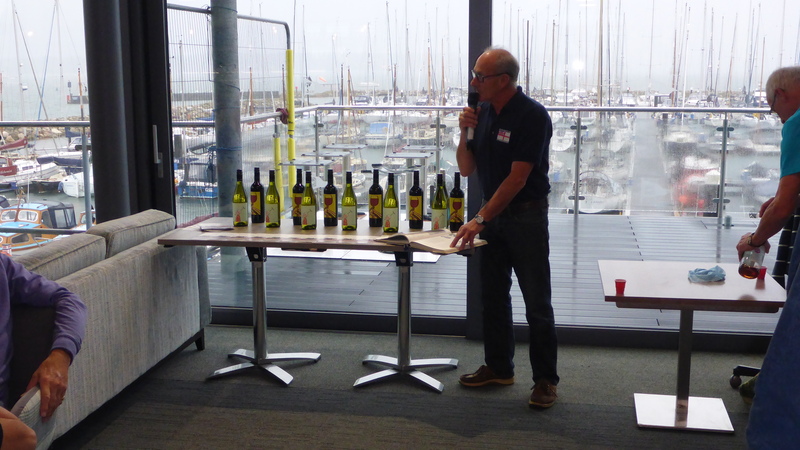 ‘Elevation’ was to take the win in Class One, the MG C27 ‘Athene’ in Class Two and ‘MS Amlin QT’ in Class Three. 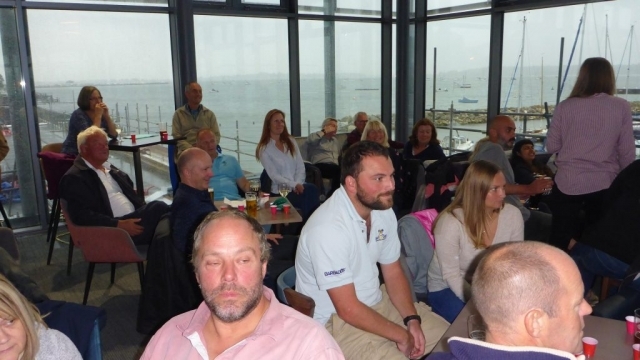 As the fleet headed back to the committee boat for the second race, Poole Bay fell eerily quiet and with heavy cloud on the horizon ‘Smithy’ wisely set a course to take boats back towards the Swash channel and safe haven of Poole Harbour. By the time racing started, in a short space of time seas had built dramatically and wind building up to 30 knot gusts all within a matter of a few minutes. It was ‘Joy’ that was to blast away from the fleet, carrying their asymmetrical into the PYRA finish as clear winners. 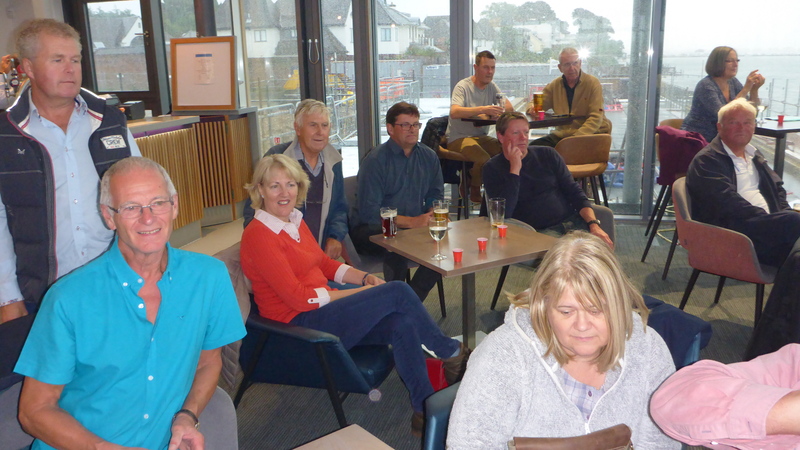 Smaller classes saw a repeat of the first race in so far as running order. 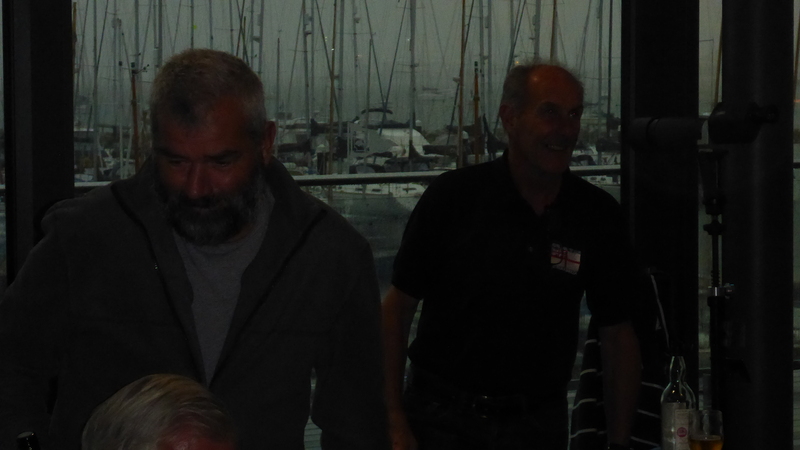 Leaving ‘Joy’ the overall winner in Class One on identical points as ‘Elevation’ taking the overall on count back. 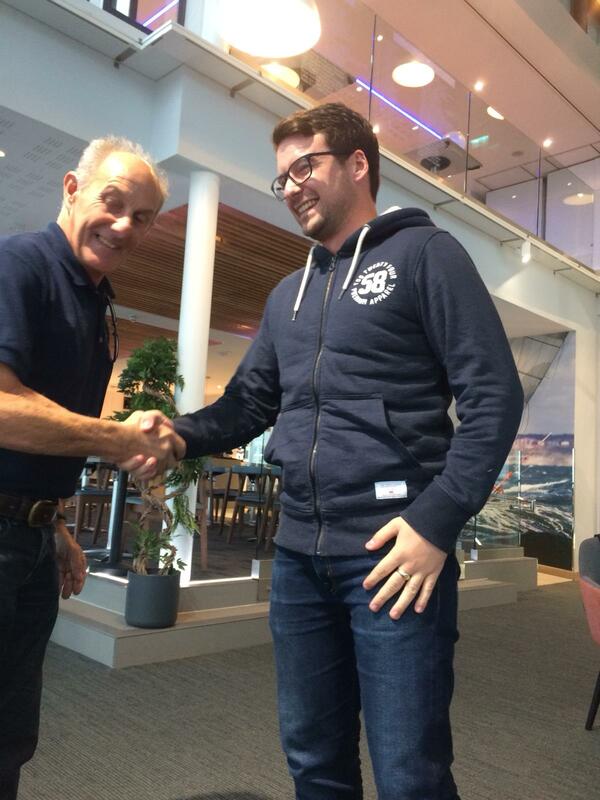 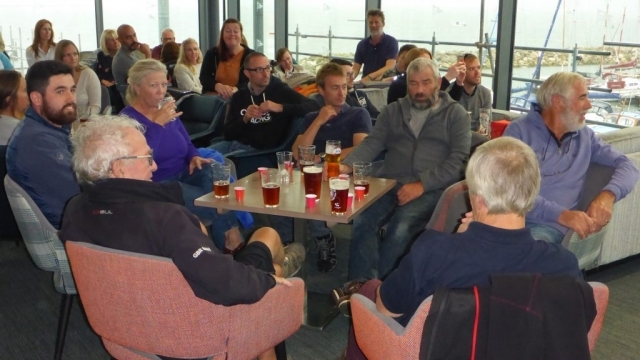 The Maxi 1100 ‘Destiny’ sailing consistently to secure two thirds and third overall. 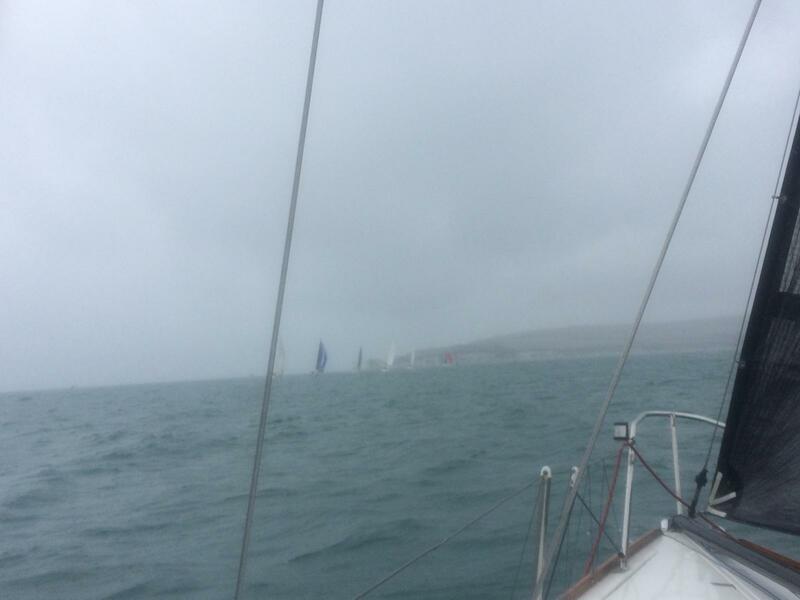 Class Two going to ‘Athene’ and Class Three ‘MS Amlin QT’. Safely moored competitors were welcomed by the event sponsors, yacht insurers MS Amlin for a rendezvous at Parkstone Yacht Club. 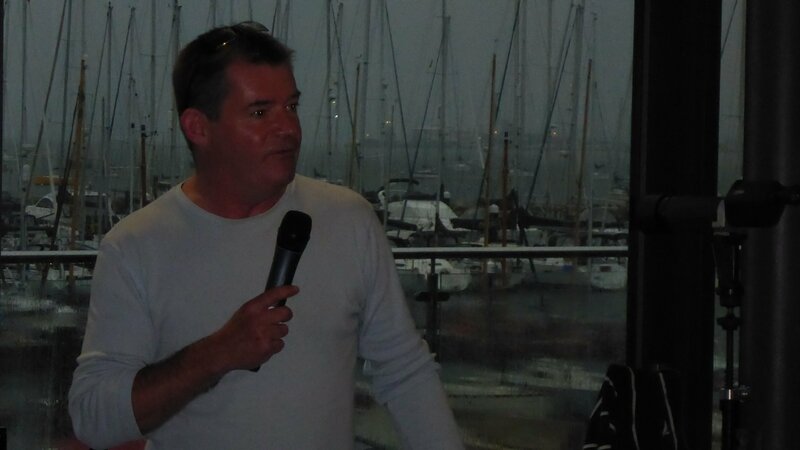 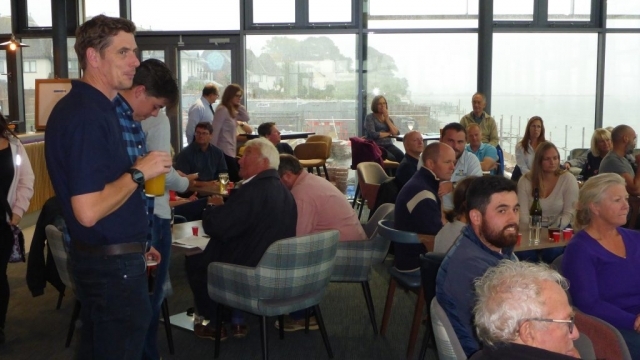 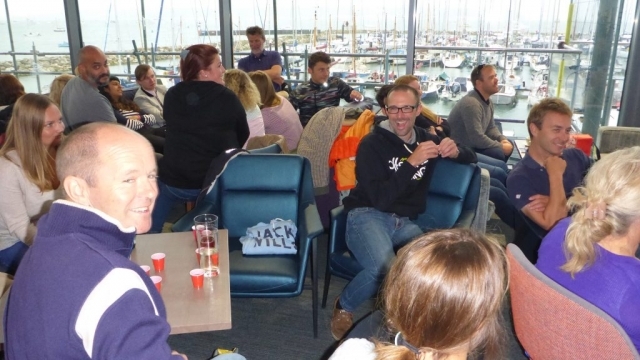 Captain Roger Bond overseeing the distribution of Rum Tots for all, MS Amlin ensuring all competitors were rewarded for their efforts and a crew dinner thanks to those at Parkstone YC, concluded the PYRA racing for this season.